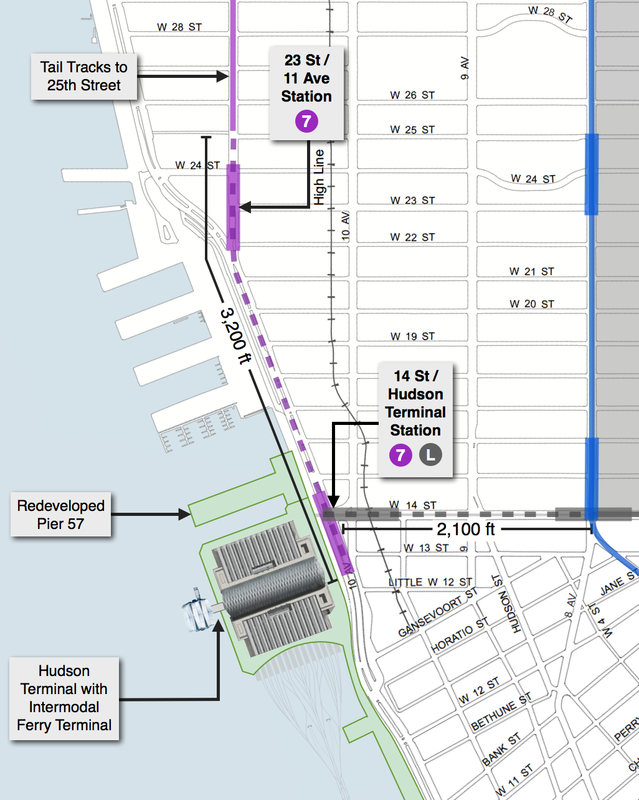 Hudson Terminal’s placement at the intersection of 14th Street and 11th Avenue is highly strategic in that it allows for key connections to existing mass transit infrastructure, which will also serve to catalyze growth on Manhattan’s West Side. The mass transit improvements will proceed in three distinct phases, with the first phase coordinating its completion with the completion of the new Hoboken Tunnel and Hudson Terminal transit hub. 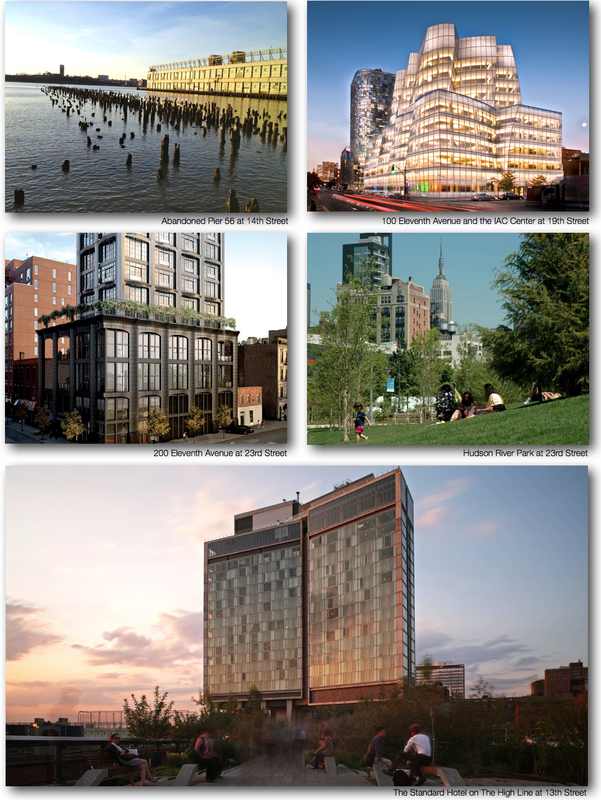 By 2015, the 7-Line Subway Extension will be complete and a new station at 34th Street and 11th Avenue will open to the public. Tail tracks from the 7-Line Subway Extension will already extend to 25th street. 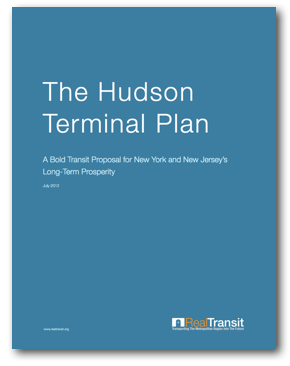 In order to provide rapid transit access to commuters arriving at Hudson Terminal, two strategic connections will be made. First, the 7-Line will be extended another 11 blocks southward to 14th street. New stations at 23rd street and 14th street will be constructed along the route. The overall impact of this extension would bring NJ commuters a direct connection from Hudson Terminal to the Hudson Yards, Times Square, Bryant Park, and Midtown East. In addition, to the delight of residents, commuters, and tourists alike, there will finally be a direct subway transfer between rail terminals serving NJ Transit (Hudson Terminal) and Metro North (Grand Central Terminal). Second, the L-Line will be extended westward by two avenues, joining the 7-Line at Hudson Terminal. 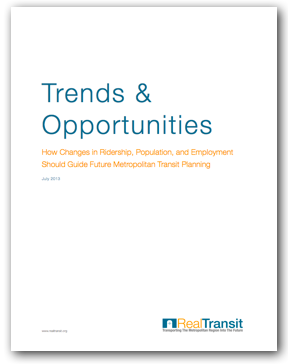 This would, for the first time, provide residents of Union Square, the East Village, Stuyvesant Town, Williamsburg, Bushwick, and East Brooklyn a one-seat ride to a regional transit hub. The total population served (residents and commuters) would be approximately 1.2 million people. In order to further extend the 7 Line to Hudson Terminal at 14th Street, only 3,200 feet of new tunnel will need to be constructed below 25th street. In addition, two new stations will be built at 23rd Street and 14th Street. The L Line’s tracks terminate at 8th Avenue, thus requiring the construction of approximately 2,100 feet of new track and one new station at 11th Avenue. 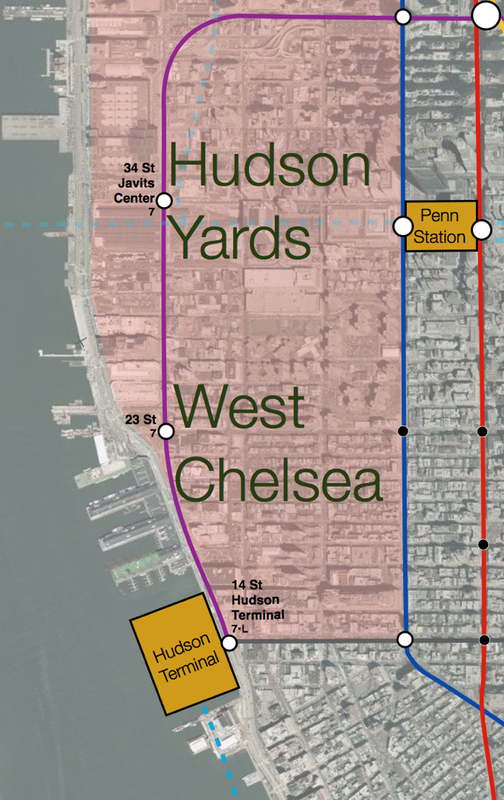 An additional extension of the 7-Line below 25th Street would present several engineering challenges due to the relative proximity of the tracks to the Hudson River. However, the 7-Line Extension already enjoys two key advantages that will render these potential challenges less problematic. First, the 7-Line Subway Extension along 11th Avenue has already employed the use of a deep-bore method of tunneling through solid bedrock, a construction method that is essential for tunneling beneath bodies of water. This tunneling method was employed because 11th Avenue used to reside beneath a body of water—the Hudson River. Only after the turn of the 18th century was most of Manhattan’s current coastline formed from landfill. Second, the 7-Line Extension has the advantage of being located deep beneath the street surface. Unlike most subway lines, which are situated an average of 20 to 60 feet below street level, the 7-Line Extension is 130 feet below street level. At this depth, the 7-Line’s tail tracks are forged in solid bedrock well below the Hudson River bed and can accommodate grade decreases to deeper bedrock levels as the line travels farther south. The current 7-Line Subway Extension to the Javits Center consists of 7,100 feet of dual tunnels and one deep cavern station at a total cost of $2.1 billion, for a construction cost of approximately $1.5 billion per mile of track laid. The original plans also called for the construction of a station at 10th Avenue for an additional cost of $450 million. 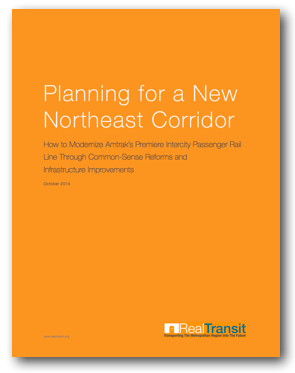 Applying identical construction techniques and pricing, the Phase I mass transit improvements are estimated to be completed at a total cost of approximately $2 billion.